A cookie is a small piece of text stored on your computer, phone or whatever device you use to surf the Internet. 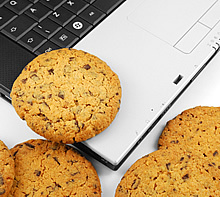 Cookies have many uses, but fundamentally they are used to store information about you on your computer. In order that we can improve our online services we will collect information about your visits to www.cannockchasedc.gov.uk. These statistics do not contain personal data and cannot be traced back to an individual. This site uses 'cookies' in order to provide a service to visitors. No personal data is stored in cookies and cookies are not used in order to provide advertising. Google cookies are used to store information, such as what time the current visit occurred, whether the visitor has been to the site before, and what site referred the visitor to the web page. For more details please visit the Google Privacy Centre. We run a customer satisfaction survey on our site to collect information on our visitors' experience. This information is used for reporting purposes and to help us improve the customer experience on our site. The system uses multiple cookies, all of which only contain a true or false value. In all cases the last character of the cookie name [x] is replaced by the version of the survey, currently 7. The only use made of Socitm cookies is to prevent customers being invited to participate multiple times in the same survey. They contain no personally identifiable information. indicates that a customer has accepted the survey and is either in the process of completing it or has completed it. The customer will not be asked to participate in this version of the survey again. Indicates that a customer has rejected the survey and will not be invited to participate in this version of the survey again until the cookie expires. This cookie is also placed when the system processes the code to invite a customer to participate but detects the socitm_include_me[x] cookie while doing so and does not present the survey again as a result. Indicates that a customer should be excluded from an alternate survey. This cookie is placed when the system processes the code to invite a customer to participate in an alternate/additional survey but detects the socitm_include_me[x] cookie while doing so and does not present the alternate survey as a result. Note this cookie will be placed whether or not the subscriber's implementation includes alternate surveys. Version 7 onwards of these products purely use 'session cookies'. These are necessary for the application to work as they hold information when the user moves between pages. They do not hold any personally identifiable or sensitive data and are only temporary, and should be deleted by the browser when the user leaves the web-site. Essentially they hold a 'one-off key' which identifies data held on the server throughout the payment. Once the payment is complete, the server data linked to the random number no longer exists, regardless of whether the cookie has been deleted or not. The session cookie is only temporary and should be deleted by the browser when the user leaves the web-site. We recommend you allow the cookies we set by this web site as they help us provide a better service. Disallowing our cookies will affect the functionality this site. From here you may also block our site's cookies by selecting the 'sites' button and adding our web address.